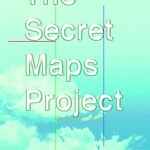 The Secret Map of Surviving Loss is a free DVD for anyone grieving a loss of a loved one which takes audiences through the steps of surviving the first year. This 60-minute documentary features 5 grieving subjects with various losses (parent, spouse, sibling) and narrated by 3 bereavement counselors. Use with our Free Workbook to help process your feelings and move more quickly to feeling normal again! *Only 1 free DVD per order, per customer. Cannot be combined with any other offers or orders.